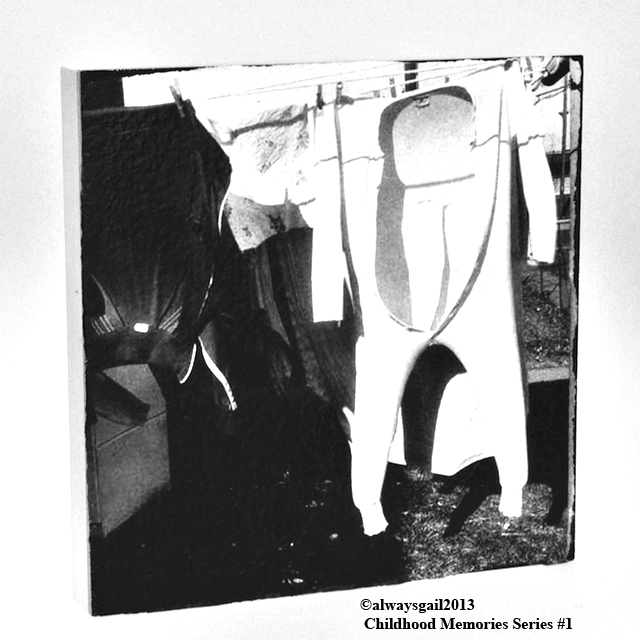 My new photography images are black and white photographs printed on hand made paper and attached to artist panels. One of the two images, I embellished with oil pencils and pastels. These two pieces are from my collection of childhood memories. 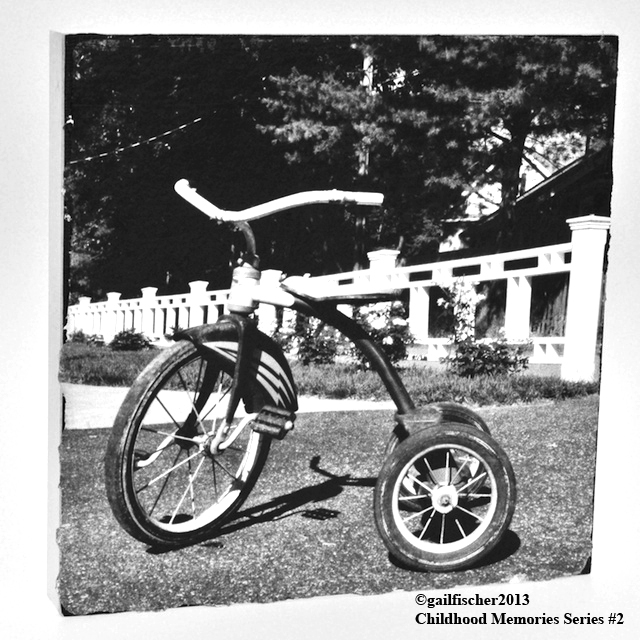 This entry was posted in For Sale, Hand Made Paper Collections, Humor, People and Places, Uncategorized and tagged back yard, black and white photography by gail fischer, blowing wind, childhood, clotheslines, front yard, hand painted, longjohns, memories, troxel bike. Bookmark the permalink.